All about AquabbleQuest. Download the trial version for free or purchase a key to unlock the game! On the magical river of Azabelle, the spring rains stir up the water, creating mysterious aquabbles of all types and colors. 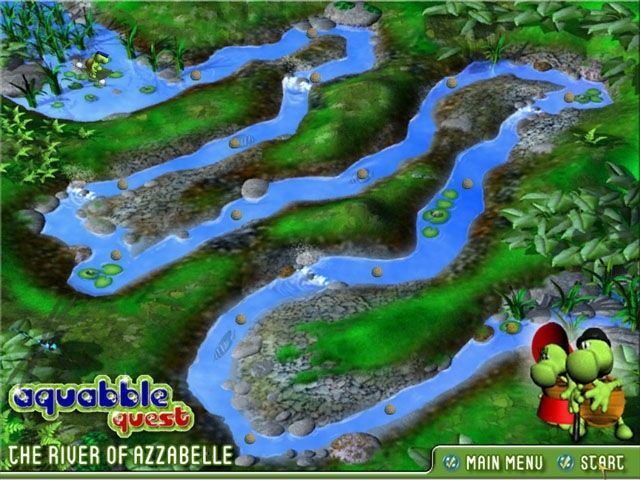 On the magical river of Azabelle, the spring rains stir up the water, creating mysterious aquabbles of all types and colors. Pop them all up! Help Timmy get to his mom and pa by clearing bubbles on his way home in Quest game mode. 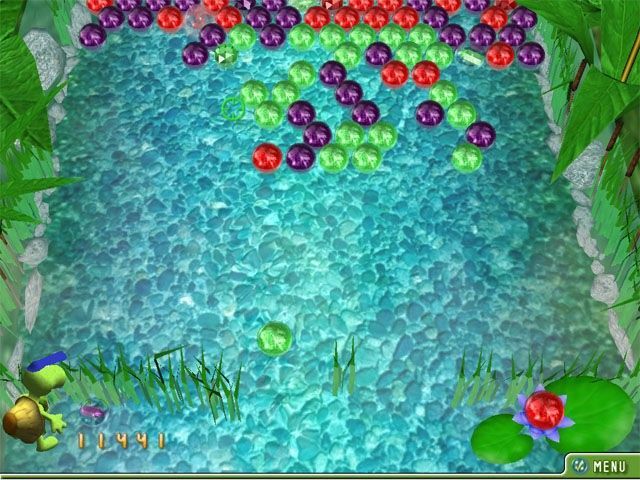 Or take your time, plan your shots and play around with aquabbles in a pond for high score in Casual mode. 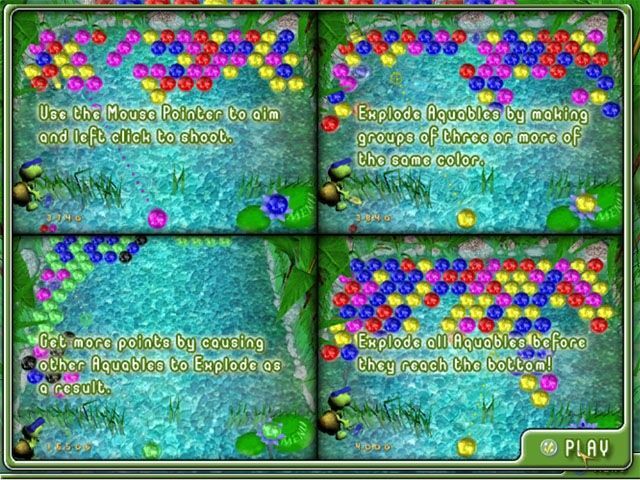 Enjoy tons of bonuses Timmy can use to help himself solve aquabble puzzles.